Anadrol 50 is considered by many to be the most powerful steroid available, with results of this compound being extremely dramatic. 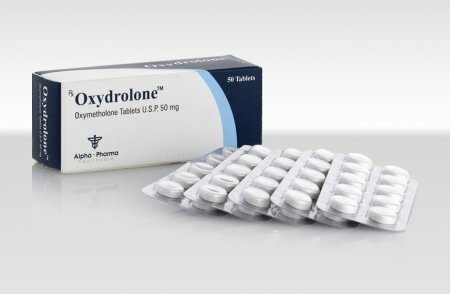 A steroid novice experimenting with oxymetholone is likely to gain 20 to 30 pounds of massive bulk, and it can often be accomplished in less than 6 weeks, with only 50-100mg a day. This steroid produces a lot of trouble with water retention, so let there be little doubt that much of this gain is simply bloat. But for the user this is often little consequence, feeling bigger and stronger on Anadrol 50 than any steroid they are likely to cross. Although the smooth look that results from water retention is often not attractive, it can aid quite a bit to the level of size and strength gained. The muscle is fuller, will contract better and is provided a level of protection in the form of “lubrication” to the joints as some of this extra water is held into and around connective tissues. This will allow for more elasticity, and will hopefully decrease the chance for injury when lifting heavy. It should be noted however, that on the other hand the very rapid gain in mass might place too much stress on your connective tissues for this to compensate. The tearing of pectoral and biceps tissue is commonly associated with heavy lifting while massing up on heavy androgens. There is such a thing as gaining too fast. Pronounced estrogen trouble also puts the user at risk for developing gynecomastia. Individuals sensitive to the effects of estrogen, or looking to retain a more quality look, will therefore often add Nolvadex to each cycle. Anadrol 50 is also a very potent androgen. This factor tends to produce many pronounced, unwanted androgenic side effects. Oily skin, acne and body/facial hair growth can be seen very quickly with this drug. Many individuals respond with severe acne, often requiring medication to keep it under control. Some of these individuals find that Accutaine works well, which is a strong prescription drug that acts on the sebaceous glands to reduce the release of oils. Those with a predisposition for male pattern baldness may want to stay away from Anadrol 50 completely, as this is certainly a possible side effect during therapy.